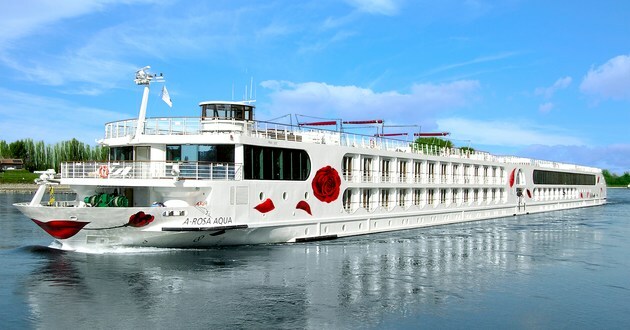 A-Rosa Cruises is a German-based river cruise company that operates a fleet of 11 vessels on the major European waterways. They employ approximately 630 employees across 25 nationalities. A-Rosa was originally established in 2000 through a joint venture between P&O Princess Cruises and a German tour company, DSR. After Carnival Corporation merged with P&O Princess Cruises, Carnival sold its shares of A-Rosa to holding company Deutsche Seereederei GmbH (DSR). Although in the past they have marketed their cruises to Europeans, in 2013 they introduced their brand to the North American market. Currently on select river cruise itineraries, they employ an International Host for their non-German-speaking passengers.